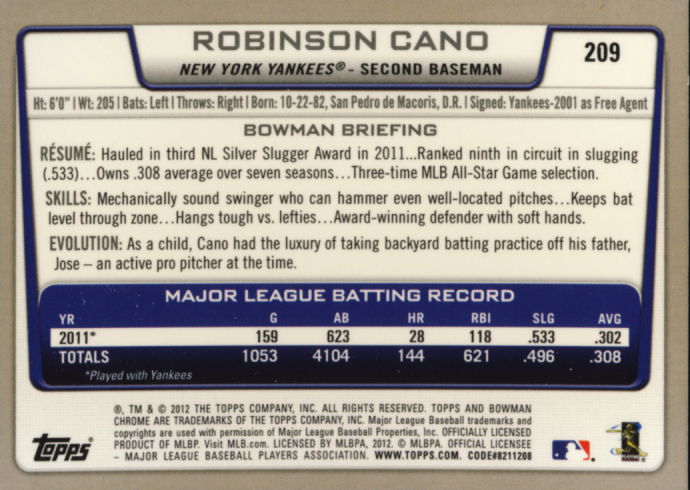 Bowman Chrome Baseball is as consistent and familiar as the set it based on, Bowman Baseball. 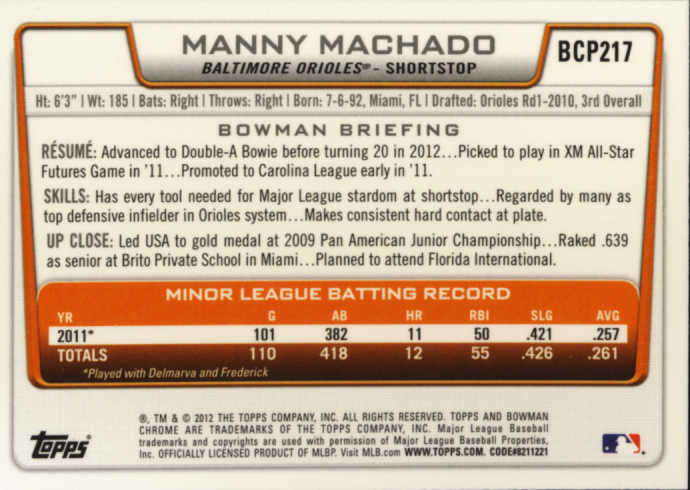 Very little changes from year to year. 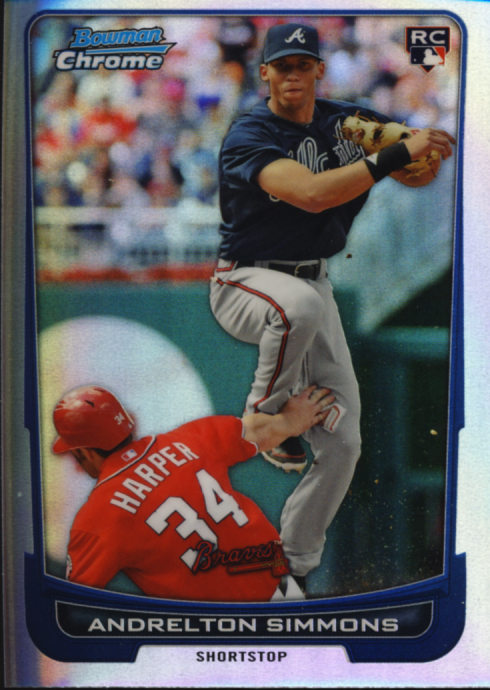 For this year’s Bowman Baseball, Bryce Harper was the face of the box along with newcomer Garrit Cole. 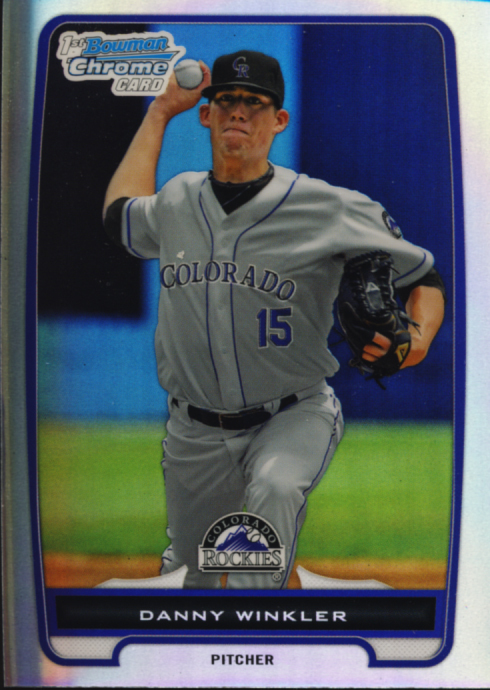 For that release it was Yu Darvish who stole the show with his cards garnering the top prices paid on the secondary market. So it is not surprising that Darvish has replace Cole as the featured player alongside Harper for 2012 Bowman Chrome Baseball. 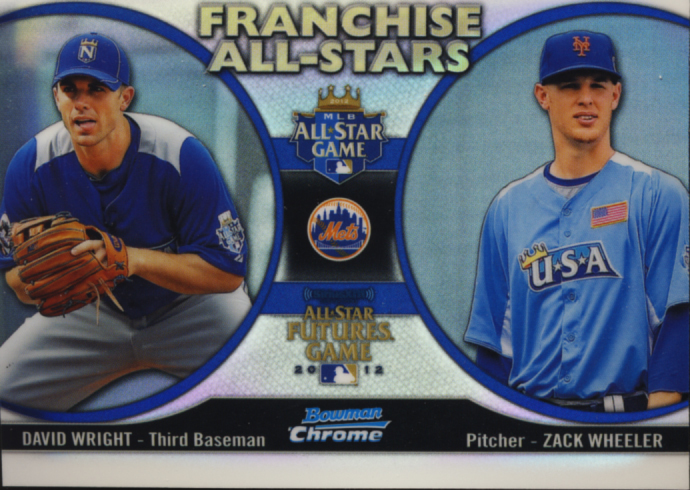 If Bowman Chrome has been a part of your collection in the past, you will want to get in on this year’s set too. 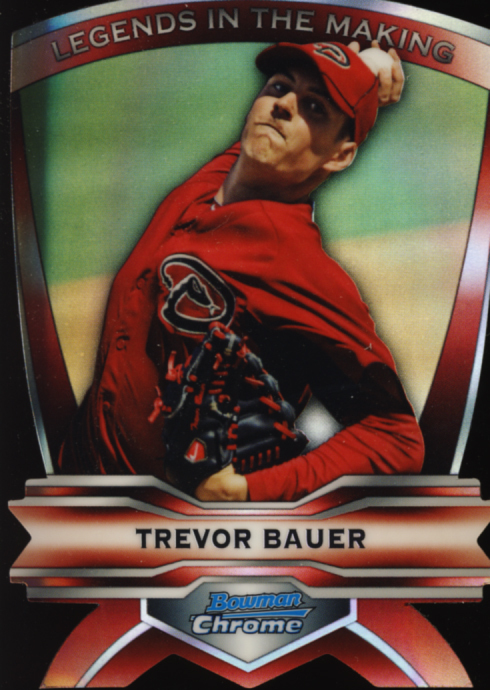 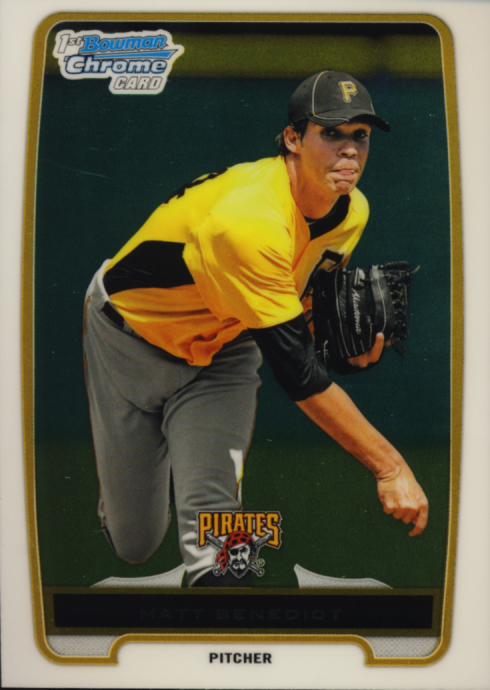 If you are new to Bowman, there are some nice cards to be found here. 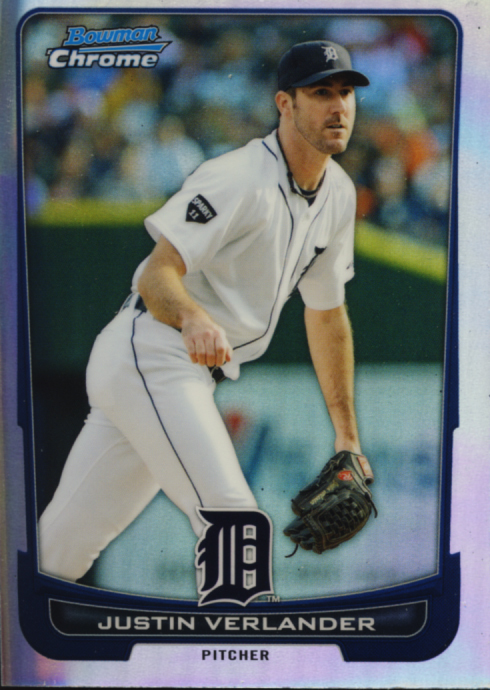 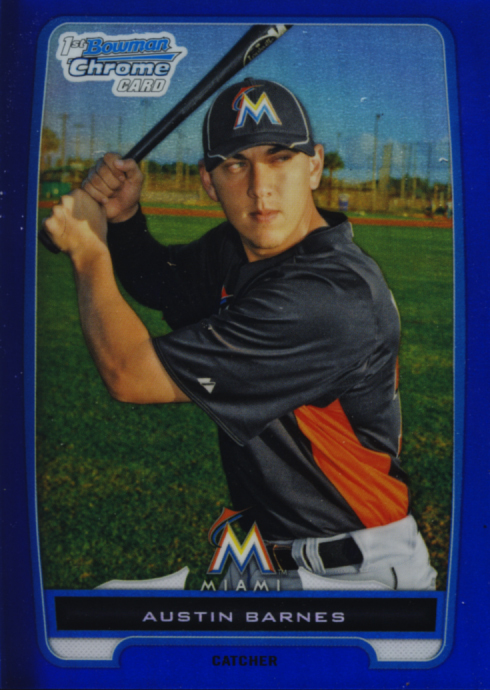 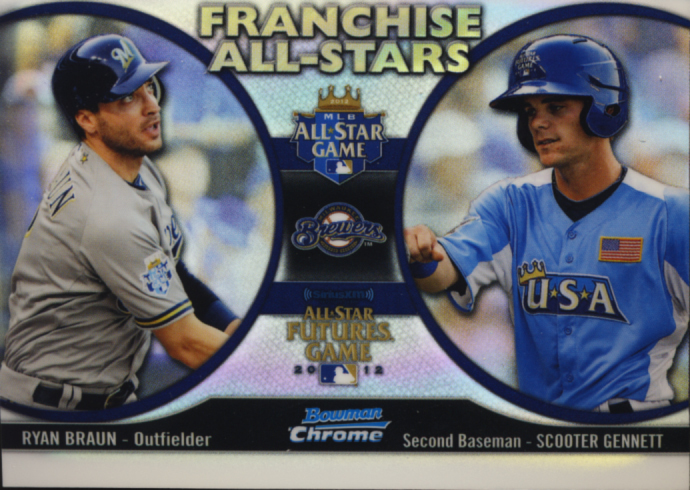 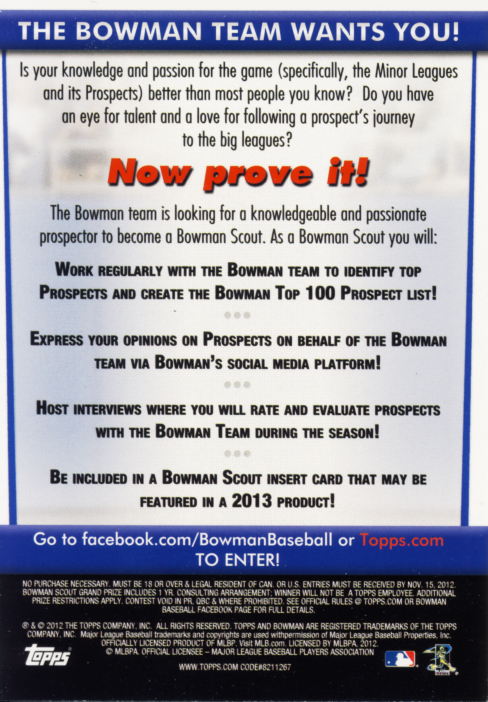 Bowman Chrome Baseball falls under our classification of trading cards. 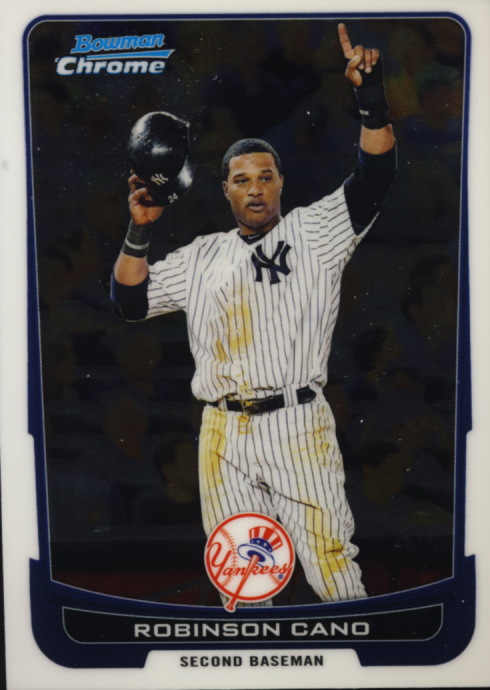 Hobby boxes contain 18 – 4 card packs and feature one autographed card in every box. 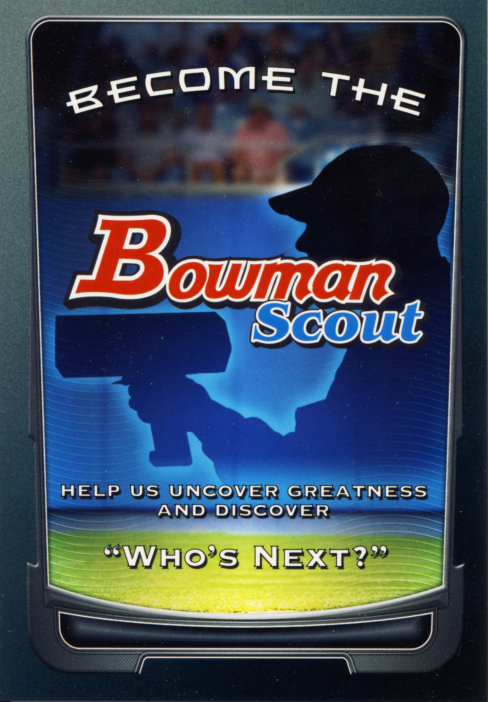 Chrome carries the design of Bowman Baseball which has always has a straightforward design. 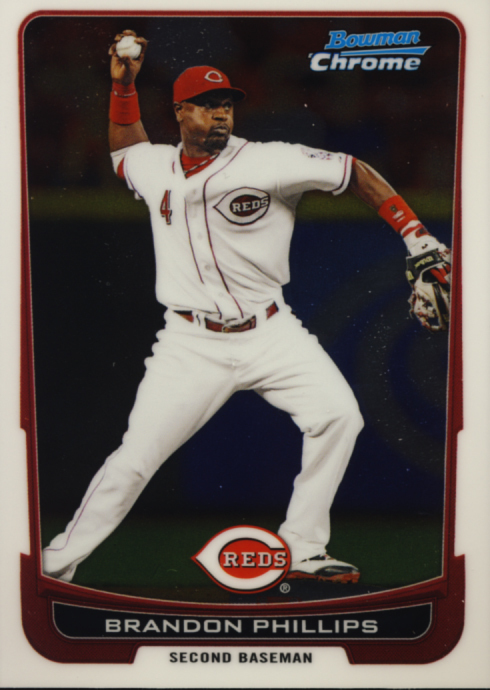 These Chrome cards are sharp and inserts are where most of the design elements come into play. 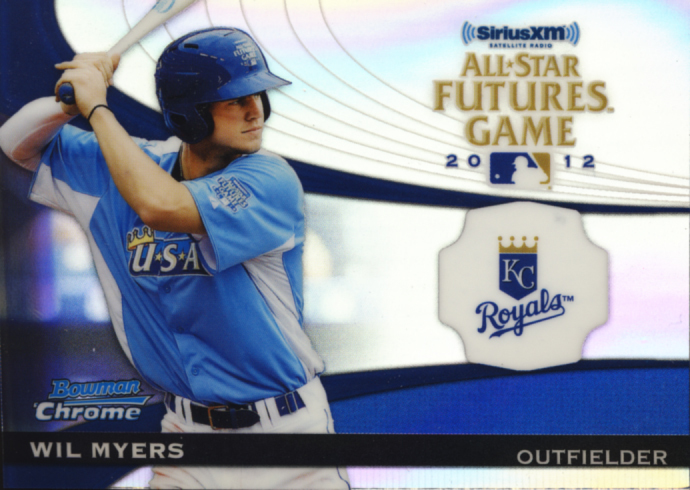 Lots of color parallels, diecuts and insets based on the Futures game all look great. 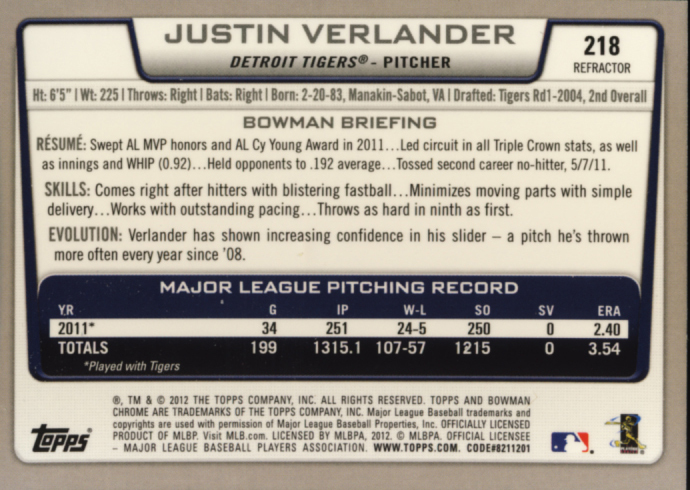 The additional notation of "refractor" on the backs of the cards is always helpful. 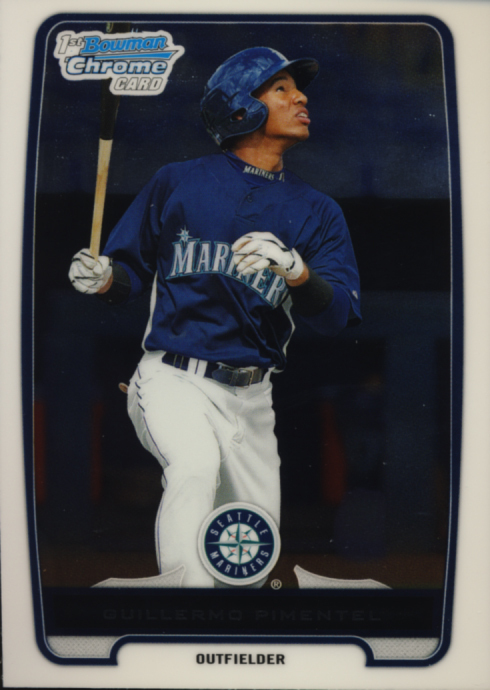 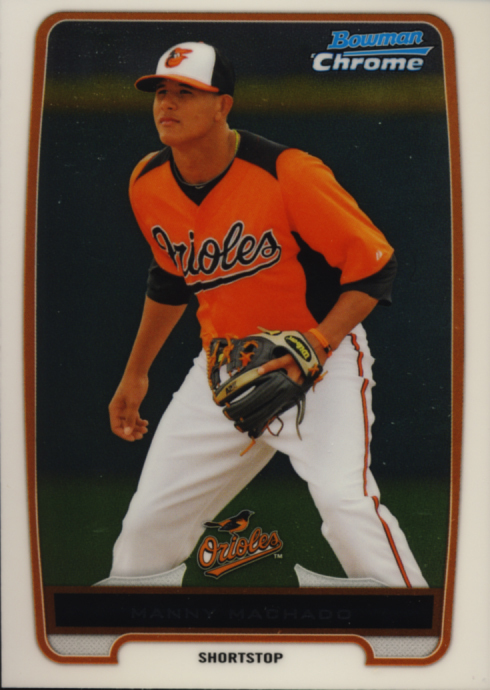 This set offers 220 base cards and 110 prospects offer the best of the MLB and a variety of primed prospects and young hopefuls to make for a good mix. 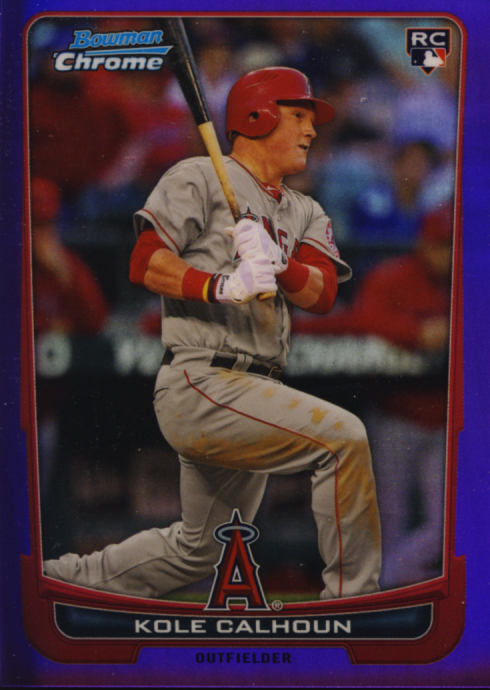 A base set is a definate yes and rainbow collectors will want to expand into the different colored refractors. 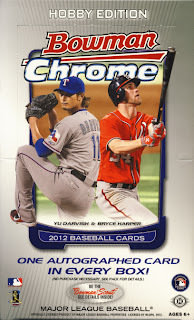 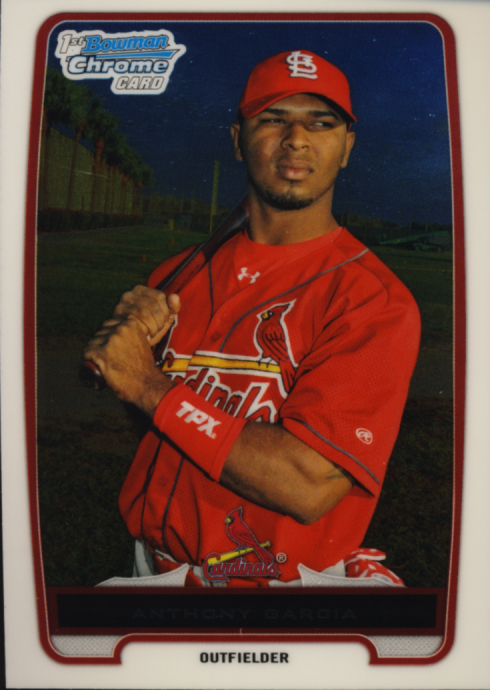 2012 Bowman Chrome Baseball delivers again. 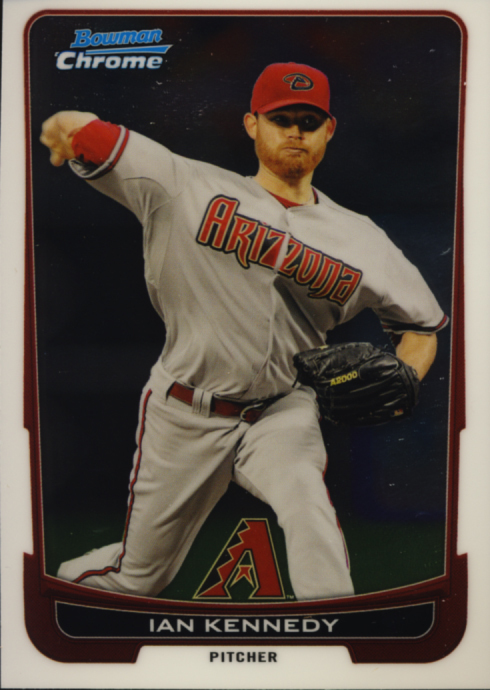 It is a consistent favorite of card collectors. 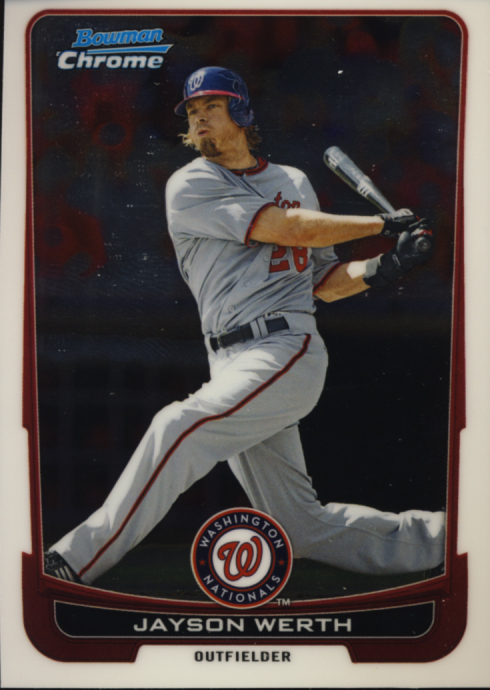 I think a Cole Kalhoun refractor falls in every five packs or so. 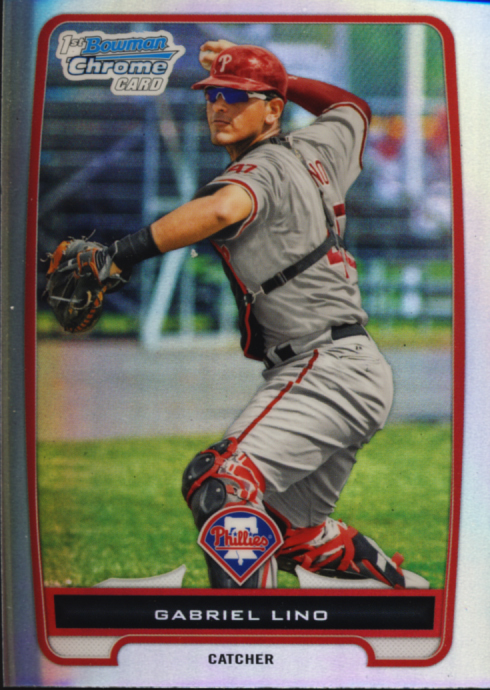 Also, I wondour how many cards from 2012 have pictures of Bryce Harper on them, but are not actually Bryce Harper baseball cards.